Please visit our Project page for how your donation will be utilized. *Please make checks payable to Global Watch Foundation. Please share our website and Facebook posts on social media and like our Facebook page. We have 26 Sponsors who help us feed, clothe, house, educate and care for our 28 children. Sponsors sometimes make one time donations while many donate anywhere from $25 to $500 a month to help create stability for us to care for our children. Our expenses are about $1600 a month and at the moment we don’t have that amount coming in. We have more going out each month then coming in currently. Please also view our Projects page for more information. 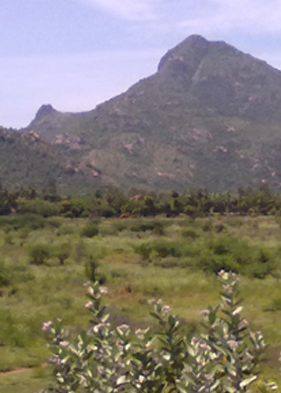 • New House rental – In early 2014 we moved all of our children from 30 kilometers away in Chengam to Thiruvannamalai. Now we are 2 km away from our kids and it makes things to much easier. With this move came many more expenses. This new property is huge and has 3 acres, 4 houses plus 2 small houses. • Electricity – The electricity rates went higher 15 % more not only because of the increase in the number of houses but the rates increased in the area. • Provisions – with the menu system our provisions rates are high however the new garden reduces our kitchen/food expenses. • Computer training space – CALINA COMPUTER CENTER. We now have 5 home computers where all of our children are learning about computers. *WARNING…Soon the kids will be skyping you. • Library – CAROLYN STUDY CENTER. We have about 300 books, all kinds both english and Tamil. • Medical – BROPHY MEDICAL CENTER. Three of our kids Anandhi, Ramya and Dhanushya have glasses and Kumaresan has a special gear calibration for him to walk from his childhood polio. We also have beds, saline and medicines along with first aid. • Tailoring Center – MARTY TAILORING CENTER. We have 6 sewing machines. • Corrine’s Kitchen Garden – We have planted vegetables including egglplant, okra, tomatoes, flat beans, melon/guard, spinach and onion. We also planted some hay for the cows and some peanuts too. The only months that cannot grow is April, May and June but the rest of the months we can yield lots of food! • Education Center – BRIGHT EDUCATION CENTER has now we have 50 chairs plus 15 writing desks too! • Mid Day meals and food costs – Because of problems with government school food, we supply our children with boxed lunches from home. $50 a month per child is suggested to help cover food, rent, schooling, clothing, staff and tutor. Any additional funds go into College Trust Funds for each child. If you cannot donate $50 a month we can pair you with another Sponsor so that the $50 per child goal is reached. You may choose a specific child and stay in touch! We have pen pal and soon skype capabilities. We want our children to stay in touch and get to know their Sponsor. We are a 501(c)(3) non-profit in the USA and all donations are tax deductible. Please make all donations payable to Global Watch Foundation.